I grew up in an apartment in Manhattan, so anything green seemed natural to me. It’s only much more recently that I’ve come to see lawns as man-made objects imposed on the environment—often an unforgiving and unreceptive environment. 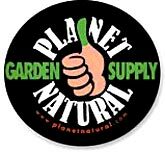 Then Eric Vinge of Planet Natural asked me to write an article on organic lawn care. 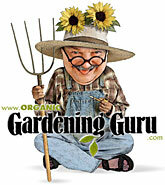 Writing that article (A Home-Owner’s Guide to Organic Lawn Care: Maintaining a Chemical-Free Lawn) was my education in lawn-care pesticides and other chemicals, and it was quite a class. Obviously, I started with a strong bias towards the organic point of view. But I have a strong skeptical streak, and I decided to trace every claim about rising cancer rates and endocrine disruption, about tracked-in chemicals, volatile organic compounds (VOCs) and the rest to either a university or a government study. You know what I found? It was all true. All those claims about contaminated well-water and streams, the danger of childhood exposure, reproductive disorders—they’re all true. 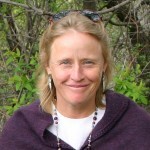 This is a conversation with Atina Diffley about the loss of one organic farm to development and the fight to protect its replacement from an oil pipeline. She talks about the ecological damage and spiritual wounds she, her children, their father, and his family farm suffered when The Gardens of Eagen went piecemeal under the bulldozer. Then she describes how she took on the Koch brothers and won. Her memoir Turn Here Sweet Corn: Organic Farming Works came out this spring. The manure problems—pollution and contamination—that I reviewed in my last post occupy the first part of this podcast, and if that were all we covered, you too might be inclined to crawl under your desk and stay there. Guests: Thomas Christopher – author, lecturer, gardener – on how and why to save water in the home garden. Edwin Beck – entrepreneur, designer, consultant, gardener – on a rain barrel, EarthMinded RainStation, that’s even more environmentally friendly than most. And while we’re on the subject– How do you save water in your garden? Add your ideas and experiences to the comments below. 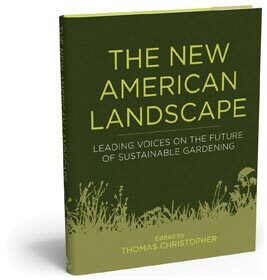 The statistics in Tom’s introduction to The New American Landscape: Leading Voices on the Future of Sustainable Gardening are enough to make you want to fall on your pitchfork in the gardener’s version of the old Roman custom of falling on one’s sword when the battle was clearly lost. I remember two things in particular about the first time a friend showed me a book on composting: first of all, I was dumbfounded that anyone could find enough to say on the topic to fill a book; and secondly, I had no temptation to read it.